April 20, 2018 by Beeraj Patel, Esq. Immigration in America is a hot political topic right now and it can be difficult to distinguish between what’s hearsay and what’s law. Since President Trump has been elected into office he has been very vocal about wanting to change immigration law, and not for the benefit of immigrants. So far in 2018, President Trump has made numerous efforts to crack down on illegal immigration. Most recently this includes Trump administering a memo calling for an end to “catch and release” policies, which allows for undocumented immigrants to be released from detention while they wait for their case to be processed. Trump has also been very vocal about wanting to end chain migration, a term that is used for U.S. citizens or lawful permanent residents sponsoring close family members to join them in the US. This was part of Trump’s campaign during the election and it seems he’s now pushing strongly for it. Ending chain migration will make family members seeking immigration visas much more difficult. This has yet to be enacted into law, but it has certainly been a priority of Trump’s in 2018. On Easter, Trump got word of a “caravan” of more than 1,000 Central Americans heading towards the southern border of the US. Trump’s response was to tweet and bash those seeking asylum in the U.S. He has also made the guidelines for those seeking refuge in the U.S. much harder to meet. 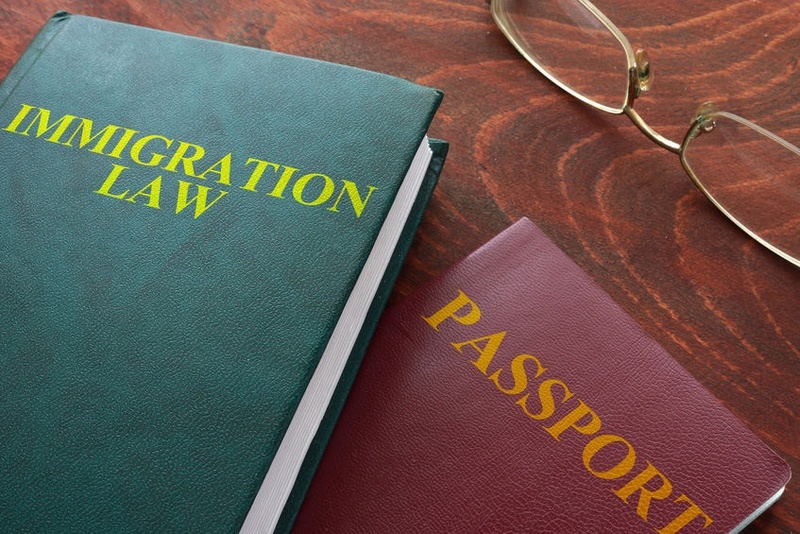 Immigration is certainly under scrutiny right now, so be sure to reach out to an immigration attorney for any Visa or Immigration related needs. They are well versed in immigration law and they can help you find the right immigration visa. Visas are an endorsement on a passport that allows for allows for foreign nationals to enter, leave, or stay in the U.S. for a certain period of time. Often times these are issued to foreign nationals who have a specific employment offer from a U.S. employer or sponsor. However, generic visas are not issued to those who wish to come to the U.S. to look for work. Foreign nationals already in the U.S. are able to change their visa to employment-based status is they have the proper sponsorship from a U.S. employer. The H1B Visa is designed for foreign nationals to work in the United States in a “specialty occupation”. This means that the occupation requires a bachelor’s degree or its equivalent in experience and knowledge. Generally speaking, if a position requires a certification or higher education for the job, then they are considered specialty occupations. Specialty occupations can include jobs in the field of medicine, education, accounting, marketing, to name a few. These visas are also designed for foreign nationals to work in the United States for a period of time. However, these are generally geared towards shorter periods of time. The H2 visas are for those fulfilling seasonal or temporary positions in agriculture or other types of labor positions. H-3 visas are for those seeking specialty training that is not available to them in their in their home country. H-4 visas are designed specifically for spouses of other H visas holders, usually H-1B visas. There are specific restrictions regarding work, so the H-4 visa holder is allowed to apply for other H visas. L Visas are issued for intra-company purposes. Depending on your position or purpose in the company, this will determine which L visa is right for you. L-1A visas are for executives and managers, and L-1B visa is for is for other employees. L2 visas are issued to those who are coming to the U.S. with the intent to set up a new branch or work in a particular branch of their company. This visa allows for the foreign national to work for a lengthy period of time. EB visas are for those who intend to work and live in the United States. There are five different categories of EB visas. EB-1 visas are for priority workers, which means the foreign national has an exceptional ability, is an outstanding professor or researcher, or is a multinational manager or executive. EB-2 visas are for those who hold an advanced degree or have an exceptional ability. EB-3 visas are for those who are skilled workers, unskilled workers or professionals. EB-4 visas are for special immigrants who work within a religious occupation. They must work with a religious institution or denomination that has tax-exempt status and non-profit recognition. EB-5 visas are for foreign nationals who become part of the Immigrant Investor program. They come with the intent to improve the U.S. economy. O visas are for individuals, or their spouses, who demonstrate exceptional skill in specific fields. These fields include sciences, business, athletics, and film and television. 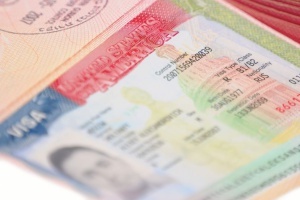 The TN visa is for individuals from Canada or Mexico who move to the U.S. to perform professional services. Immigration law prohibits permanent residents of these countries to apply for a TN visa. There are two common types of student visas, the J-1 visa, and the F-1 visa. The J-1 visa is for individuals who are approved by the Department of State sponsor program to teach, study, receive training or demonstrate special skill. F-1 visas are for those who wish to study at an accredited university. There are two types of visitor visas, the B-1 visa, and the B-2 visa. The B-1 visa is issued for short-term business travels. The B-2 visa is issued for those wishing to come for tourism or vacation purposes, they are not valid or a long-term stay and typically only go up to a 6 month period of time. Trying to figure out which visa is right for you can be overwhelming and confusing due to recent changes in immigration law, so seek out an immigration attorney for any visa or immigration law related needs.